Joe Benson, Head of RAM Product Planning - Commercial Vehicles, will share the decisions that drove FCA to create a separate, new RAM Truck brand and will discuss the implications for making that choice. Learn how he and his team developed the new brand strategy, and get the inside scoop on why their strategy worked and how it has positioned them for sustainable growth in the 21st century. Registration includes hors d'oeuvres and soft drinks. Joe manages the current product portfolio and develops future product offerings for the Ram Truck Brand. His 12 years at what is now Fiat Chrysler Automobiles includes time spent with MOPAR division, Dodge brand marketing, dealer advertising and RAM brand and product planning. 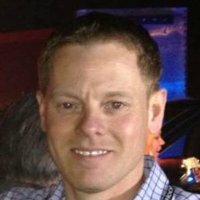 Prior to FCA, Joe worked for Carlson Marketing Group. He has over 20 years of experience in the automotive market. Registrations are not considered definite or confirmed until payment has been submitted. Cancellations will be accepted until 5pm on Thursday, March 19th. Cancellations received by this date will be refunded less a 10% administrative fee, with a minimum charge of $5. Refunds cannot be issued for cancellations received after this date; however, substitutions for another person to attend in your place are gladly accepted.